A congregation of Baptists who met in the Old Factory in Coleham (established in 1858-9 as a result of a split in another Baptist Church in Shrewsbury) managed to obtain a site for a chapel at the bottom of Wyle Cop. They bought the "Spread Eagle" Inn for £780 in 1863 and built a chapel (with seating for 400 worshippers) behind the buildings fronting the street. The foundation stone was laid on 18th August 1863 and the opening services were held on the following 25th December. 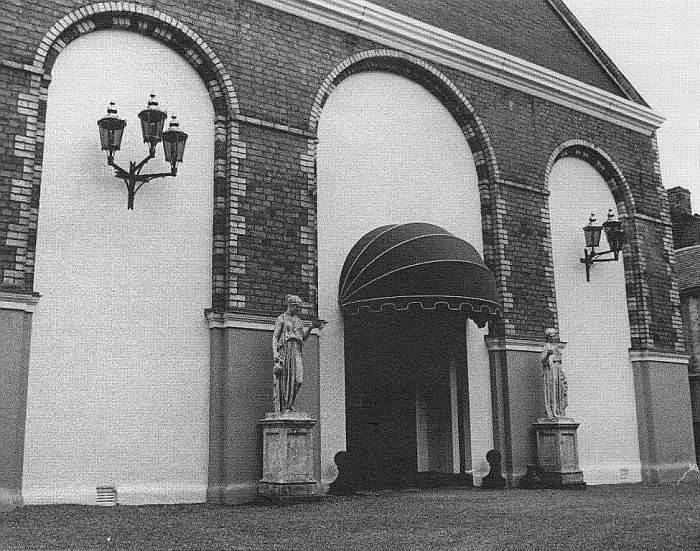 The chapel was 53' long x 45' wide, built of polychrome brick and had a large round-headed door and windows at the front. It was designed by Mr H. Weatherby & built by Mr Teckoe, bricklayer and Mr James Edwards, carpenter. In due course, it was intended to erect galleries and also extend the front of the building to the street, but this was not accomplished. By 1886 the chapel was empty. It was used temporarily by the Salvation Army, then became a warehouse and is now an antiques emporium.